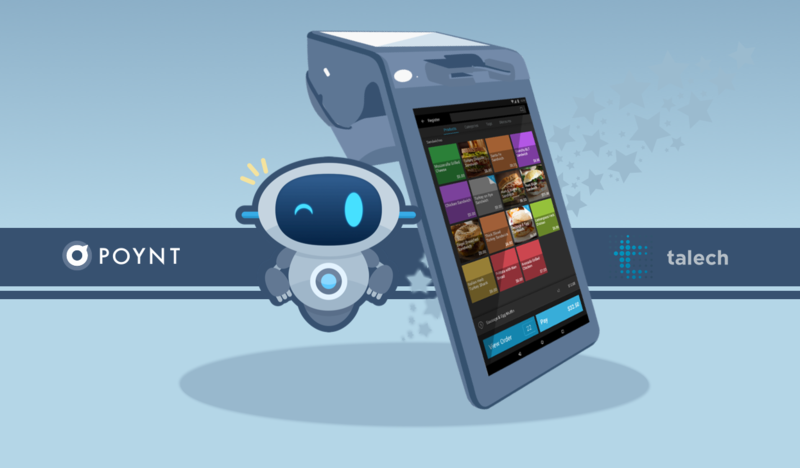 We’re excited to announce a partnership with talech that will allow our retail and restaurant merchants to run their suite of POS capabilities right on the Poynt terminal. Our CEO, Osama Bedier, and talech CEO, Irv Henderson, announced the news this morning in their opening keynote address at ETA Transact. For Poynt merchants, this means that they can download the talech app directly on their Poynt terminal without the need for any additional hardware; talech merchants will also be able to seamlessly add a Poynt terminal to their existing talech POS system, unlocking new payment capabilities like pay-at-table and in-aisle payments. Some of talech’s most popular features will be included for free via the talech app on Poynt Terminals. For merchants wishing to utilize premium features like syncing to an external display, accessing advanced reporting and analytics, and features like loyalty, order ahead, and gift card capabilities, they have the opportunity to add them to their Poynt experience for a low monthly fee. We look forward to see how this latest addition to our ecosystem leads to big wins for our merchants and their customers.